​ MISSOURI CITY – (Update Hurricane Harvey: All campuses will open Monday, Sept. 11, 2017. Houston Community College will start fall classes on Sept. 11, 2017 at all campuses include a new campus at 1600 Texas Parkway. The new 67,000-sf, two-story campus is next to city hall. The campus, 1600 Texas Parkway​, is expecting 1,000 students to enroll in classes at the campus this fall with enrollment increasing to 3,000 students in the future. 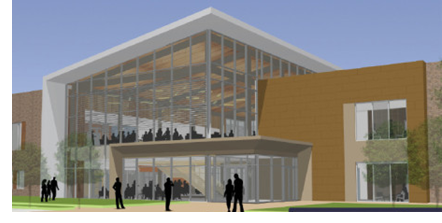 The campus will initially offer programs in health care education, small-business entrepreneurship, computer coding, and information technology.